Died of rheumatic fever whilst working as an instructor with his regiment in the UK, aged 25 years. Mr Clyde Samson. Amongst the numbers of Jerseymen at the front is Mr Clyde Samson (only son of Mr & Mrs A H Samson of Raglan House, Rouge Bouillon) who was in a London Branch of the London City and Midland Bank and joined the 28th County of London Artists Rifles at the outbreak of war. Mr Samson is an Old Victorian and learned to shoot in the Officers Training Corps, he has represented the College in the Haines Shield against Guernsey and in the Ashburton at Bisley. In a very interesting letter to his parents he says "We are now billeted in the Town Hall of a little village just within earshot of the heavy guns which seem to be at it hammer and tongs. We are not even allowed to cross the road without our gun and ammunition. They tell us in the village that five Uhlans were found here yesterday. Everyone is much more cheerful here than in England, the whole place is happy and confident. We saw Sir John French yesterday and he spoke to the Colonel. The people here go calmly on working in the fields although for us things are so singularly military. We had a great reception and my French has procured us many luxuries. We never see a newspaper at all and until last night none of us had taken off our boots since we left. Vive la vie militaire! We saw crowds of motor buses yesterday and lots of English wagons which made the place look like Brighton Road on a weekday. Enough now as we parade shortly". Victoria College Roll of Honour. It is with very great regret that we announce the death, which occurred at Romford, Essex yesterday morning, of Sergeant Clyde Alfred Samson, only son of Mr & Mrs A H Samson of The Bonnet Box, King Street and Raglan House, Rouge Bouillon. The deceased, who was an Old Victorian, was about 25 and was a most promising soldier. 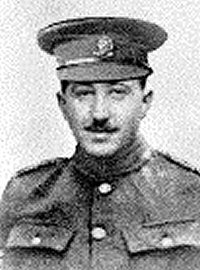 At the outbreak of war he was a clerk in a London bank and immediately joined the Colours, enlisting as a private in the Artists Rifles. Very keen on his training and a crack shot, he had been a prominent member of the Victoria College OTC Shooting Eight, he was very soon fit for active service and was sent to the Front with the first batch of the Rifles in September 1914. For the space of nearly 2 years he took part in the fighting, but eventually he was taken with rheumatic fever and was sent to a Base Hospital, but was later removed to England for convalescence. He was able last year to pay a visit to his parents in the Island and shortly before he rejoined the Rifles he married one of the daughters of the late Mr Lewis Marks. For some time now he had been back with the Regiment engaged in light duties, but the effects of the fever had never been really thrown off and it is supposed that his death was in a great measure due to this cause. Mrs Samson left the Island for London on Thursday and wired the sad news to her husband yesterday. Needless to say Mr Samson was quite prostrated by it, for up to Thursday he had no reason to believe that his son was in worse health than usual. Mr Samson left the Island this morning to attend the interment, which will take place on Monday next with full Military Honours. To the widow and parents we would offer sincere sympathy in their great sorrow. The Late Sergeant C A Samson - Buried with Military Honours. 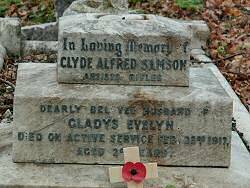 The funeral took place on 26 February with full Military Honours of Sergeant Clyde A Samson of 1st Artists Rifles. The deceased was a native of Jersey and was an only son. He had been married just over a year and recently he had resided with his wife in apartments at 41 Como Street. His death took place on Friday from heart failure following an illness contracted in France. The funeral procession was headed by a firing party of the Artists Rifles with arms reversed, a brass band and the drum and fife band of the Battalion played funeral music, the drums were draped with black. The coffin was borne on a gun carriage drawn by two horses and was covered by a Union Jack on which the deceased's cap and bayonet lay and some choice floral tributes. The mourning coaches were followed by a large body of members of 2nd Artists Rifles. 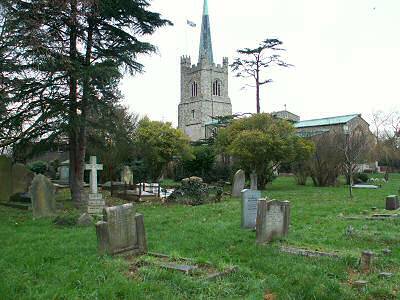 Blinds were drawn at many houses when the procession left Como Street on its journey to Hornchurch Parish Church where the funeral service was impressively conducted by Reverend H B Curtis. The coffin, which was of polished elm with brass fittings, bore the inscription "Sergeant C A Samson. 1st Artist Rifles. 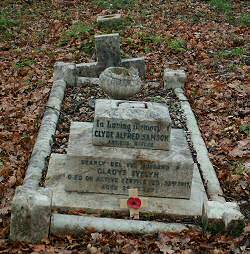 Died 23 February 1917 aged 25" and was borne by six sergeants of the Artists Rifles. After the committal sentences had been recited the firing party fired three volleys over the grave and the buglers sounded the Last Post.